No piece of jewelry looks as graceful on a woman as a diamond bracelet. You use your hands for just about any task you do, so why not do all of your tasks with style? Have a gorgeous bracelet around your wrist and everyone will take notice, no matter where you are. If you want to buy a bracelet as a gift for somebody else, you can be sure that they will love it. A diamond bracelet is actually a versatile piece of jewelry. There are so many styles to choose from. They don’t all come in the form of tennis bracelets, although those are the most popular choices. Indeed, these bracelets can be more than circular objects covered in diamonds. If that is your preference, though, then you will find plenty to choose from. There are also styles such as diamond heart bracelets. These are silver bracelets with hearts adorned in diamonds. There are also 3 carat diamond bracelets handcrafted in sterling silver. Each bracelet can contain up to 135 individual diamonds! Each individual stone is carefully hand set in silver. Another thing to consider is the size of your wrist. If you have a dainty and small wrist, you will want to go with a thin bracelet without very may embellishments. The diamonds should be small. A large and/or thick bracelet will only look bulky on your wrist. It’ll also feel heavy and somewhat uncomfortable. If you want to buy a diamond bracelet for somebody else, it’s important that you get an idea of her size. If it’s going to be a surprise, pay close attention to the current bracelets she wears. Does she wear large bangle bracelets? Charm bracelets? Tennis bracelets? As mentioned above, you can find diamond bracelets in every style imaginable. One unique piece of jewelry that many women will appreciate is the black diamond tennis bracelet. Black diamond stones have soared in popularity in recent years. While they don’t sparkle as much as traditional diamond stones, they are still strikingly beautiful. They also look great with any type of outfit. 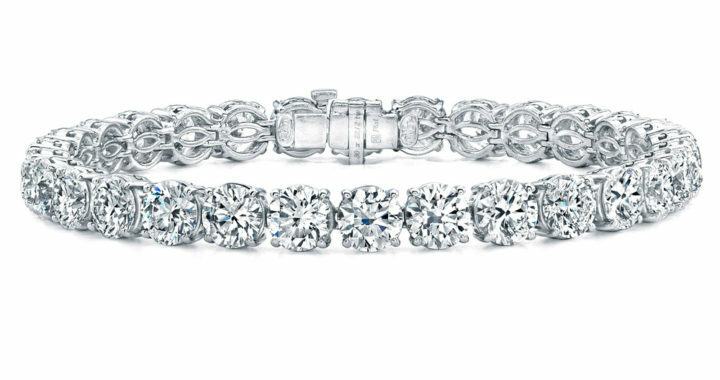 Which Metal Should Go With Your Diamond Bracelet? Another thing to consider is the metal. Should the diamonds be set in a sterling silver? Yellow gold? White gold? Platinum? They are all beautiful choices. The most striking and bold combination is yellow gold and black diamonds. If you want something more subtle, go with colorless diamonds and silver. Now you know how to shop for a beautiful diamond bracelet! With so many options to choose from, all you have to do is look for something that looks like it will fit comfortably on your wrist. If you’re buying for someone else, make sure you get an idea of their personal style. You can find every type of diamond bracelet mentioned above – and more – at SuperJeweler.com. There are so many striking jewelry pieces that you won’t know where to begin! You’ll be surprised at the low prices of clearance items. Gemstone bracelets are ideal for women who want a splash of color added to their tennis bracelets. There are plenty of ways to add color to a classy bracelet, and you can find a variety of gorgeous bracelets online. The styles range from antique Hollywood designs to modern sophistication. The great thing about this type of jewelry is that there is no limit to how it can be designed! There are so many types of gemstones, ranging from garnet to sapphires. The most obvious choice is to choose a bracelet embellished with your birthstone, but you don’t have to if you don’t want to. Not all gemstones are colorful, either. There are always white diamonds and white topaz stones to consider. When choosing your bracelet, you need to consider your wardrobe and the rest of your jewelry. A sapphire bracelet, for example, wouldn’t go very well with pink and green outfits. If your wardrobe is diverse, then you might want to go with a few different bracelets so that you’ll always be able to find something that matches any outfit you wear. Since all gemstones are beautiful, you might be tempted to buy every bracelet you come across. If you are on a tight budget, however, you need to narrow your selection down. If you can only afford one for the time being, you might want to consider a neutral color gemstone such as white topaz or onyx. That way, you can wear it with everything in your wardrobe. Another option is go to with your birthstone color. Everybody should own at least one piece of jewelry featuring their birthstone. If you were born in January, for example, you can get yourself a gorgeous gemstone bracelet gleaming with garnet. Before shopping for your bracelet(s), educate yourself on the various shades of every type of stone. Not all garnets are red, you know. Nor are all sapphires dark blue. There are light blue shades, dark blue shades, and even slightly purple shades. Garnets can be pink or even yellow. Diamonds, of course, can be colorless, black, pink, and yellow. Last but not least, you need to decide which metal you would like your jewelry to be made out of. Sparkling silver? Dazzling gold? Or would you prefer bold platinum? Regardless of which metal you choose, you need to invest in the highest carat you can afford. 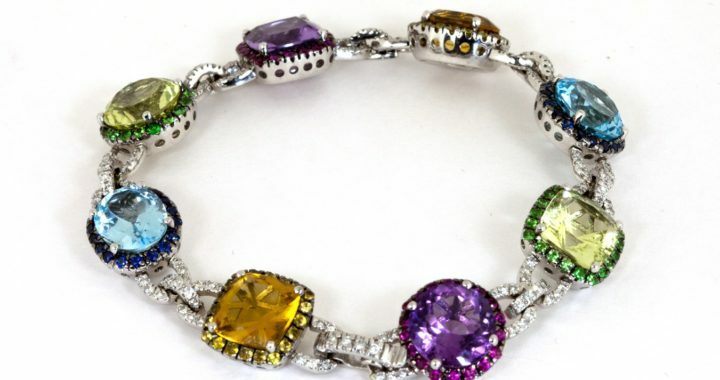 You will want your gemstone bracelets to last for years to come. Order from a reputable jewelry store so that you can trust that the bracelet will be made out of genuine gemstones and metal. The most reputable jewelry store on the internet is SuperJeweler.com. Their selection of gemstone bracelets is simply astounding. You will find plenty of beautiful bracelets to choose from, ranging from antique sapphires to modern tanzanite. Check out the clearance items – you never know what you might find at a low price! 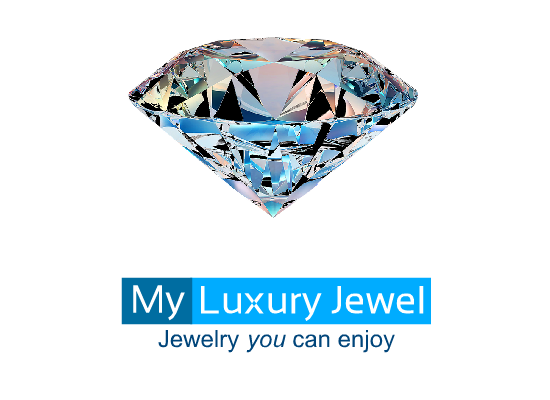 My Luxury Jewel © 2019.